DRAGON’s modular parts are connected by joints that let it reconfigure. See it carefully maneuver in the air in the silent video above. 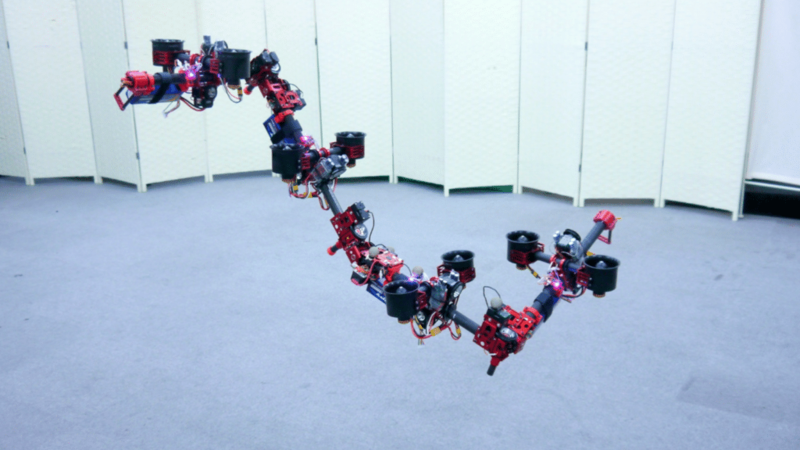 Related videos from the recent past: ChainFORM, robot modules that can transform, modular, self-assembling robots from EPFL and MIT, and more flying robots.